The ALPS OutdoorZ Dark Timber Day Pack is a very popular daypack which comes equipped with excellent storage compartments and pockets that keep your gear organized, side compression straps, a hydration pocket & port, padded waist belt and shoulder straps and an adjustable sternum strap, among others. In this ALPS OutdoorZ Dark Timber Day Pack review, we shall be shedding some light on the pack’s features, its pros and cons as well as sample customer FAQs. Hopefully, by the time we are done with the review, you would have acquainted yourself with the fine attributes of the Dark Timber so you can decide for yourself if the pack is ideal for your hunting trips or not. So without any further ado, let us delve straight into some of the major features of the ALPS OutdoorZ Dark Timber Day Pack. 1.8.1 Q. Who are the manufacturers of the Dark Timber Hunting Pack? 1.8.2 Q. Does the Dark Timber come with a warranty? 1.8.3 Q. What colors can I purchase the Dark Timber in? 1.8.4 Q. How much does the Dark Timber weigh? 1.8.5 Q. What is the total capacity of the Dark Timber? 1.8.6 Q. Is the fabric used in making the pack quiet? 1.8.7 Q. Is the Dark Timber waterproof? 1.8.8 Q. Does it come with a rain cover? 1.8.9 Q. Is the Dark Timber hydration compatible? 1.8.10 Q. Does the Dark Timber include a hydration system? 1.8.11 Q. Does it come with a place to strap a rifle or a bow? 1.8.12 Q. Can one strap a sleeping bag to the Dark Timber? 1.8.13 Q. Is the Dark Timber a good overnight backpack? 1.8.14 Q. Is the pack’s waistband removable? A hunting pack is not considered complete if it is not hydration compatible. This is why all good hunting packs come equipped with hydration ports and pockets. And being a good hunting pack, the Dark Timber is also hydration compatible. It comes with an excellent hydration port and pocket that allow the wearer to drink water hands free and easily keep him or herself constantly hydrated in the woods. Padded Waist Belt: The pack’s waist belt contributes significantly towards ensuring the comfort of the wearer by taking the bulk of the weight of the load in the pack off the wearer’s shoulder and transferring it to the wearer’s hips, thereby reducing fatigue and enhancing comfort. In addition to this, the waist belt is so generously padded that it makes the carrying of heavy load easier and very comfortable. 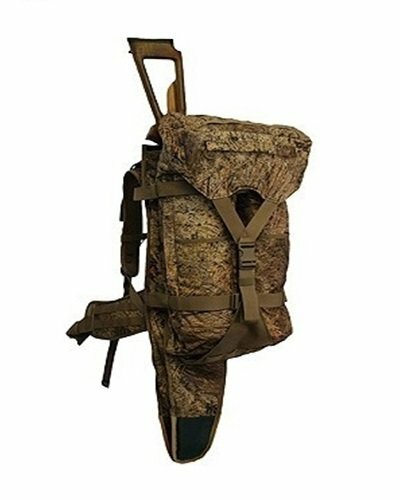 Padded Shoulder Straps: The Dark Timber’s shoulder straps are also well padded and therefore make it much easier and comfortable for the wearer to carry heavy loads with the pack. Side Compression Straps: The Dark Timber’s side compression straps play a very important role in enhancing a wearer’s comfort by bringing the weight of the pack closer to the wearer’s body and making it easier and more comfortable for the wearer to carry heavy loads. Adjustable Sternum Strap: The last but not least comfort-enhancing feature of the pack is its highly adjustable sternum strap, which regardless of your body type, can be adjusted for a very secure and comfortable fit. One of the most admirable features of the Dark Timber is the excellent storage space it offers users. With an interior storage capacity of 2285 in³, the backpack allows you to store enough gear for a day’s adventure in the woods. It features a large front accessory pocket and a main storage pocket which not only offer enough and secure storage space for your gear but also allow you to properly organize your gear. In addition to this, the pack also comes with a lower storage pocket that gives you extra storage space and mesh side pockets that are very good for storing a number of things, most especially water bottles. If the Dark Timber’s main storage compartment, large accessory pocket and lower storage pocket are not enough for you, the pack also comes with multiple attachment points on its front that can be used to conveniently and securely lash your extra gear. The pack’s quiet fabric helps one to move around unnoticed in the woods. Thanks to comfort enhancing features such as padded shoulder straps and waist belt, the pack is a very comfortable pack to carry. It comes with lashing straps that can be used to tie down extra gear. The pack is not waterproof. It does not come with a rain cover. It cannot be used to carry a rifle or a bow. Q. Who are the manufacturers of the Dark Timber Hunting Pack? A. 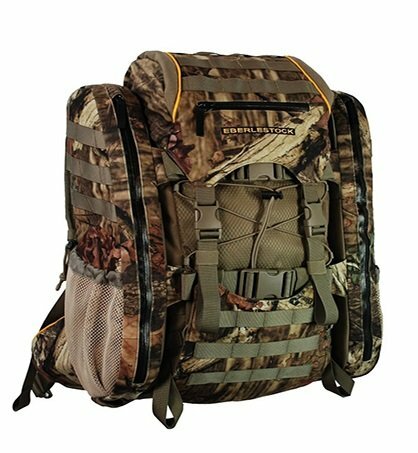 The pack is manufactured by ALPS OutdoorZ, an American company that has since 2007 been involved in the business of designing and manufacturing high quality hunting packs and gears. Q. Does the Dark Timber come with a warranty? A. Yes it does. As a matter of fact, all products manufactured by ALPS OutdoorZ are warranted against defects in workmanship or materials. Q. What colors can I purchase the Dark Timber in? A. You can get the Dark Timber in either Brushed Mossy Oak Break-Up Country or Brushed Realtree Xtra HD. Q. How much does the Dark Timber weigh? A. The pack has a total weight of 2 pounds, 1 ounce. Q. What is the total capacity of the Dark Timber? A. The pack’s total capacity is 2285 in³ / 37L. Q. Is the fabric used in making the pack quiet? A. Yes the fabric is quiet and of high quality. Q. Is the Dark Timber waterproof? Q. Is the Dark Timber hydration compatible? Q. Does the Dark Timber include a hydration system? A. While it is hydration system compatible, it does not come along with the hydration system. Q. Does it come with a place to strap a rifle or a bow? A. No. The Dark Timber was not designed to accommodate weapons like rifles or bows. Q. Can one strap a sleeping bag to the Dark Timber? A. No. Being a daypack, the pack does not have a bottom strap to attach a sleeping bag to it. Q. Is the Dark Timber a good overnight backpack? A. No. It is a daypack. Q. Is the pack’s waistband removable? From the ALPS OutdoorZ Dark Timber Day Pack review above, you have seen some of the important features of the Dark Timber that make it one of the most useful daypack’s out there. At this point, we believe that you are no longer in the dark over what the Dark Timber has to offer and can therefore easily decide for yourself whether this pack would be ideal for you or not.